Here at MakeUseOf, we love doing cool things with webcams. One example is Simon’s cool article on how to control a game with your webcam (no longer available). Another is a recent article I wrote on how to put together a home security system with your webcams How To Build A WiFi Home Surveillance System With Your PC How To Build A WiFi Home Surveillance System With Your PC Read More . It was actually writing that article that made me start thinking about other uses for my webcam. Then, as I sat there staring at the cellphone – an old HTC 8125 with just a 1.3 mega pixel camera – I started to wonder if there was a way I could convert this little phone into a portable webcam that could stream video from anywhere in the world where there’s a cellphone data network. That curiosity and a little bit of Internet research led me to VZOchat, an interesting free online service where you can configure your own video chat account and whenever you’re online you can receive direct video calls from anyone. So, what does this have to do with turning a Windows Mobile smartphone into a remote webcam? Well, the VZOchat service also offers a mobile version. This means that people can trigger a video conferencing call to your mobile phone, but it also means that you can set up your cellphone anywhere you like, and then fire off a call to the phone from your computer which will enable the streaming video feature of the VZOchat software on your phone! Want to spy on the room where you accidently “left” your phone? Maybe you want to stream a really cool rock concert to your friends with your cellphone. The potential uses for streaming live video from your cellphone are unlimited. 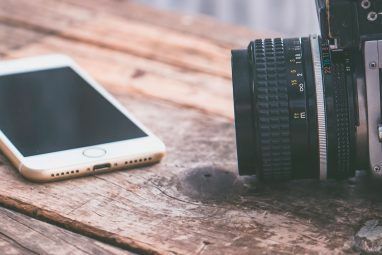 As if that’s not cool enough – there’s one more little feature that VZOchat offers – the ability to embed the video call feature directly into your blog or website so anyone can video chat with you straight from your blog. 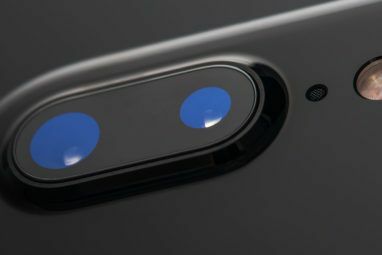 I’ll cover each of these features in this article. Let’s get started. When you first sign up for your free VZOchat account, you’ll instantly have access to a special web page where you can find your embedded videochat room. You don’t even have to install any software on your PC, only a plugin for your browser so that the videochat room works properly. Yes, I know I look tired. I’ve been staying up all night writing this article! Now, VZOchat is actually a video chat community, so if you want to you can set your status as public and let everyone on the social network see your profile and call you. I’m not exactly that much of a social butterfly, so I left that feature disabled – I’m only here for the cool Internet video chat software. All you have to do to call another user on VZOchat is click “start videochat” and type their name. For my purposes – I want to initiate a video chat with my cellphone, and I want the cellphone to pick up automatically. So step two is setting up the mobile version of VZOchat on your Windows Mobile device (Windows Mobile only). Once you download and install the CAB file to your mobile and you log in using the credentials that you signed up with, you’ll see the following screen on your phone. Most of the settings within options are pretty self-explanatory. Most of the calling features you want to configure are in the “Integration” menu item. When you click on that icon you’ll see the following screen. As you can see here, you can integrate the software to work with Outlook Mobile and the Today Screen – but what you really want to make sure to click here is the option to “Automatically accept incoming calls.” Once you do this, you’re ready to remotely fire up your cellphone as a remote cameraphone webcam! To test this, I placed my old Windows Mobile 5 PDA on my kitchen countertop facing a Halloween art project my wife and kids created – a small tree with ghosts hanging on the branches. Running back across the house to my laptop (I seriously ran, I was that excited), I clicked on the green call button and watched as the software initiated the call. Suddenly, the video window changed to a view of what my cellphone was pointed to at that moment. Now, I should mention a few things about this image. My particular camera is ancient, and a 1.3 mega pixel camera is hardly comparable to the sort of resolution available on most modern smartphones. Secondly, I noticed my image updated about once every 5 seconds or so, which I believe was related to my data upload speed over the cellular data line – and I hardly had a signal in my house. Again, a newer model will most likely perform much better. 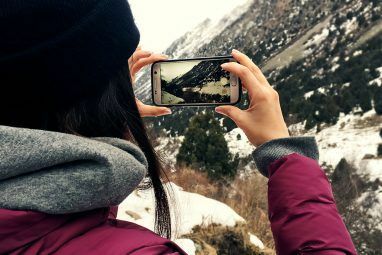 Finally, if you do decide to use this technique to convert your cellphone into a cameraphone webcam, make sure you either have an unlimited Internet data plan or your phone is connected to the Internet over Wi-Fi. Now that we’ve accomplished the first task. I want to show you one more amazingly cool feature with VZOchat that had me smiling from ear to ear – the ability to embed a calling box into your blog or web page so visitors can initiate a video chat with you. Here’s how it works. When you’re logged into your VZOchat account, click on the “widgets” tab at the top. Here, you’ll see two options. The first is a neat little VZOchat widget using the iframe tag that lets you embed your profile call gateway into your blog, which I’ve done here on my blog FreeWritingCenter. Now, the value of just offering such a feature on your blog or website is tremendous. Allow visitors to interact with you directly to discuss a topic you’ve blogged about. Or, maybe you have a tech support website and you could use this feature to let your clients contact you directly video chat right from your web page. The one drawback with the widget is that when they click on it, it opens a whole different window on VZOchat for your visitor to talk to you. If you want them to stay right at your site, you can use the VZOchat Webclient code instead – and visitors can have a video chat with you right on your own web page. Here’s me having a chat with myself right on my blog. After about 10 minutes, I found myself pretty darn boring, so I just hung up on myself. The embedded video chat is still there, as is the sidebar call feature (for now). I’m going to leave it there to chat with MUO readers and others unless I find a better service at some point. If it’s still there and I’m online, go ahead and give me a call and let’s chat! 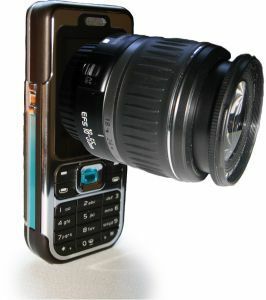 Can you think of any cool uses for turning your mobile phone into a cameraphone webcam? What about using the service in your blog, or combining the two features so visitors can call you on your mobile? Share your thoughts in the comments section below. Explore more about: Smartphone Photography, VoIP, Webcam, Windows Mobile. What would you require as evidence? I've installed it and run it, and it works fine without any negative effects. As you can see, VZO is in Beta so I would expect few people would know who they are - that's what these review articles are for. Went to your blog and had a look. VZO wanted me to download and install an xpi file. I'm not especially paranoid, but I'd want to see some evidence that that isn't going to stuff my browser, use excessive memory, record me without my knowing it, etc etc before I'd download it. Many visitors to your site may not even have seen this article and would they know who VZO are? I'm willing to bet I'm not the only one who passes. I was so tired I can't remember. LOL...I do remember taking those photos late at night (based on the hands on my watch in the photo I guess it was almost midnight) and thinking the time looked way *off*, but then realized I think the server is based out of asia, so the time displayed must be there?